Sociology of Health and Illness; Sociology of Reproduction; Population and Development; Global Health; Science and Technology Studies (STS); Global Ethnography; Research Methods; Sub-Saharan Africa. Siri Suh is a medical sociologist with research interests in global maternal and reproductive health, population and development, and feminist and postcolonial studies of science, medicine, and technology. 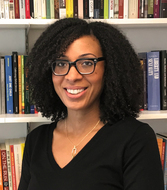 Her research has been funded by the American Association of University Women, the American Council of Learned Societies, the Social Science Research Council and the National Institute of Child Health and Human Development. She has conducted research on maternal and reproductive health with the United Nations Population Fund (UNFPA), the Guttmacher Institute, and Management Sciences for Health (MSH). Siri's interest in post-abortion care (the treatment of complications of incomplete or unsafe abortion) was kindled during her work as a public health professional during the mid-2000s with an NGO in Senegal, a West African country where induced abortion is prohibited under any circumstance and the US government has supported family planning since the early 1980s. Drawing on an ethnography of post-abortion care conducted between 2010 and 2011, her current book project, titled "Obstetric Ambiguities: Reproductive Governance, Evidence, and Global Abortion Politics in Senegal," illustrates how medical workers, health officials, and NGO personnel pragmatically deploy obstetric data from hospitals to make claims about the kinds of technologies and interventions that measurably reduce maternal mortality and the kinds of women who receive and are deserving of care. The book’s primary argument is that global reproductive governance unfolds through the production and circulation of data that simultaneously convey commitments to global accords on reproductive health and rights and foreclose opportunities to revise abortion policies and strengthen health systems. Suh, Siri. "Metrics of Survival: Post-Abortion Care and Reproductive Rights in Senegal." Medical Anthropology 38. 2 (2018): 152-166. Suh, Siri. "The violence of post-abortion care: practicing a global harm reduction approach in Senegalese hospitals." American Anthropological Association Annual Meeting, San Jose, CA. November 16, 2018.